CAPP is keenly interested in performance data on how ACOs and other accountable care approaches are improving health care. CAPP is one of the original organizations that worked with health system researchers to define the initial models that have evolved into the current approach. Both national data, primarily from Medicare, and state-level results are accumulating, and the news is largely good. Medicare ACOs are improving their results and outcomes each year that they participate in an accountable model, with the total amount of savings and the number of ACOs hitting their savings targets relative to their benchmarks, increasing each year since 2012. Physician-driven ACOs — even relatively small ones — are generally performing better than those driven by institutions and lacking physician leadership and engagement. Assessments of existing entities strongly suggest that a robust primary care foundation improves an ACO’s likelihood of success. Rigorous statistical comparisons between patients enrolled in Medicare ACOs and those remaining in traditional, fee-for-service Medicare show improvements in efficiency, lower costs and improved outcomes as mesured with a variety of quality metrics. The state of California has more ACOs (67) than any other state. The recent report, Accountable Care Organizations in California: Promise & Performance, from the Berkeley Forum and the School of Public Health, University of California, Berkeley, provides valuable insight into the promise and potential of these organizations. Using the Integrated Health Association (IHA) quality measures based largely on HEDIS quality measures, the effectiveness of care provided by ACOs is at least as good and on some measures substantially better than that provided by other medical groups in the state. ACOs scored significantly higher on all six patient experience measures including access to care, coordination of care, promoting health, doctor-patient interactions, office staff helpfulness and overall rating of care. While comparative cost data was not available, early experience with Blue Shield, Dignity Health and Hill Physicians group in Sacramento identified savings for CALPERS (California Public Employees’ Retirement System) employees of $20 million. This is a remarkable level of savings. There is a positive association between HMO market share and ACO enrollment, indicating that experience with population-based payment models may encourage ACO contractual relationships. Size and scale drive success. Most California ACOs are relatively large with at least 10,000 enrolled lives and many having 25,000 or more. Care management systems must be sophisticated, using predictive analytics to identify high complexity cases for intensive management. 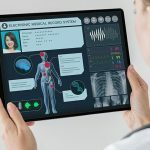 Electronic health record functionality must be capable of exchanging data across care settings and enabling two-way communications between patients and physicians. Effective partnerships to cover the entire continuum of care must be developed. Patient-family engagement is a cornerstone of ACO success, extending beyond getting patients to stay in the network to engaging patients in their overall care plan for better results. Standardized measures of success are important, albeit illusive. The IHA’s Pay for Performance Program is cited for creating a common set of measures. In the future, consideration of patient-reported outcomes (PRO) measures, especially for chronic illness, is recommended. Our own CAPP Primer on the need for standardized quality measurements offers more solutions. California may have provided a more nurturing environment in which ACOs could thrive than most other states. California’s history with the Kaiser-Permanente model starting in the 1930s, the state’s decades-old managed care experience, and its hundreds of medical groups that have experience with the delegated risk model and capitation laid the groundwork for ACOs to be successful here. In fact, providing care under an ACO contract is much like the everyday experience of many of California’s providers. California is not the only state embracing new payment and delivery models. Medicaid programs in Oregon, Minnesota, and Vermont, for example, are giving physicians and other providers the opportunity to test shared risk arrangements to serve Medicaid beneficiaries. Early results from these states also show promise in reducing cost growth while improving prevention, screening, and care coordination. Other states, such as Texas, are leveraging Medicaid managed care organization contracts (MCOs) to drive value-based payment arrangements between MCOs and providers. At CAPP, we see a glass half full when we look at the progress of the accountable care movement in late 2018. New types of innovative physician-led ACO entities which share our values and mission have joined the movement to value. The growth of accountable care payment models across Medicare Advantage, traditional Medicare, Medicaid, and the “dual-eligible” populations is approaching a “tipping point” in some geographic markets. Commercial plans serving working age populations are not moving as fast as we would like, with high-deductible plan designs and some market-dominant players in some geographies working against the growth of value-based care models. Employer purchasers must play a bigger role in supporting new care models, especially by giving employees the choice to be served by these models and rewarding employees who choose high-value providers. 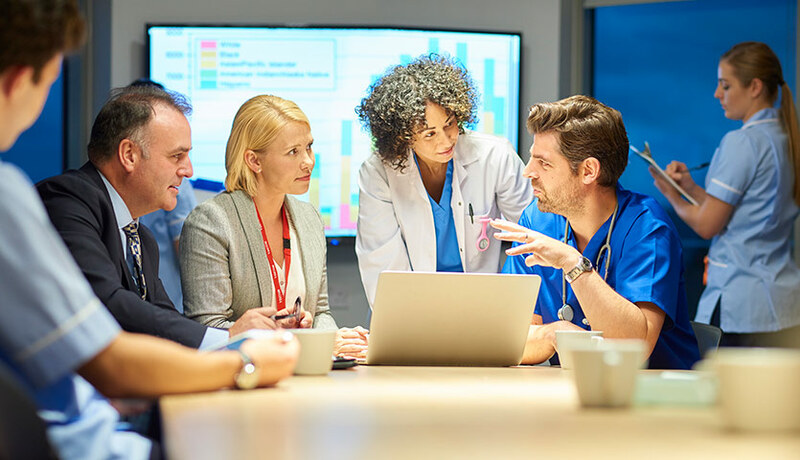 Physicians practicing in accountable care models are not immune to the forces contributing to physician and staff burnout, particularly bureaucratic tasks and rules that hinder efficiency and innovation. Too many metrics with too little focus and prioritization, too much screen time at the expense of patient-centered care, and too few user-friendly digital tools that can provide real solutions in real time all undermine physician satisfaction — indeed the joy — in practicing medicine. CAPP remains committed to strengthening the voice of physician leadership in the movement to value, both externally with payers and purchasers, and internally within care delivery systems to support innovation in pursuit of better care, at more sustainable cost, and with a more engaged and fulfilled physician workforce.